Mastery of a technique takes practice. The online course provides you lifetime access to the MLD technique modules. Giving you the ability to keep your techniqe sharp and honed for years to come. Your body is the conduit to best supporting your clients. The online course shows you how to position both your hands and your body to help create both a powerful treatment and keep your body performing well. Heart-centered and science-informed. We believe that therapists can work with research-driven techniques, that support their desire to give the very best to their clients. MODULE ONE - The Starting Sequence. 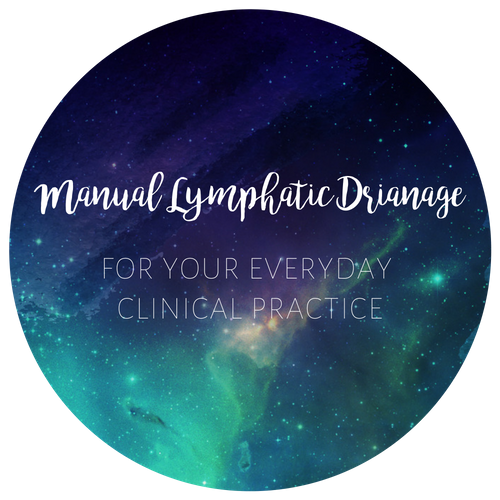 You receive lifetime access to Manual Lymphatic Drainage for your everyday clinical practice - the online course. MLD - Online is hosted via our learning platform. You will require a computer, and access the internet to get started. We recommend Google Chrome as the best browser to experience the course fully. Once you purchase the course you will receive log in information on how to access your learning dashboard. From there you can access any and all of your courses you're enrolled in with Rhythm Massage Development and Education. How many times can I view the course? You can watch and view every video as many times as you like.